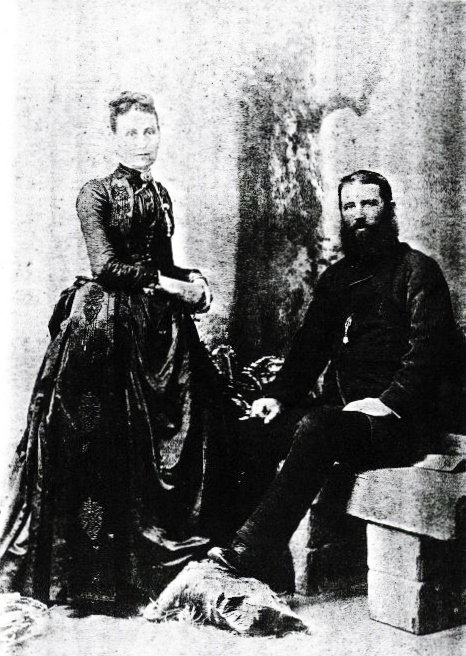 Birth date and place 10 Oct 1826 Fahan, Donegal, Ireland. Physical Description Height: 5 ft. 8¼ ins. Complexion: fair. Eyes: blue. Hair: light brown. Marriage date and place Q4 1848 Whitby, Yorkshire. Spouse Hannah ORINGE (Gringe, Orange, Grange). Children John Oringe b. 1850, Woolwich, Kent. Ezekiel b. 1857, Fremantle, Western Australia. Mary Ann Jane b. 1861, Fremantle, Western Australia. 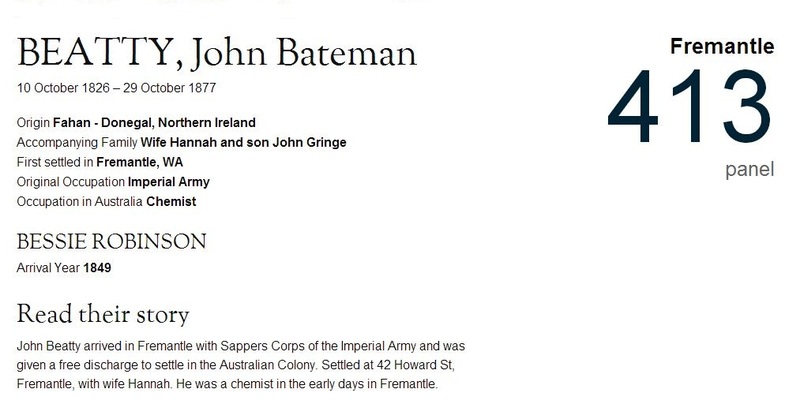 Death date and place 29 Oct 1877 Fremantle, Western Australia. Burial date and place October 1877 Skinner Street Cemetery, Fremantle, Western Australia. 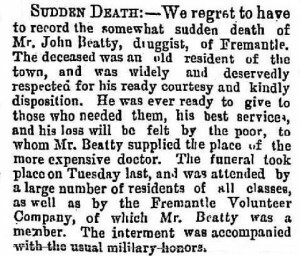 Death/Funeral Notices Fremantle Herald 3 Nov 1877. 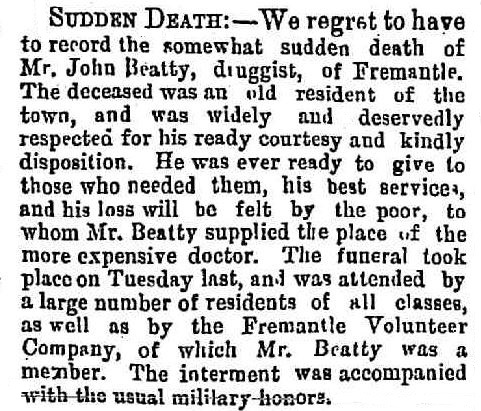 West Australian Times 9 Nov 1877. Service No. and Rank #1089 Sapper. Attestation date and place 26 Nov 1845 Devonport, Devon. Service/Campaigns Western Australia, 10 years 4 months. Musters WO11-124 10th Company, Woolwich (1851). 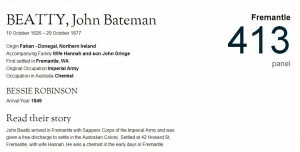 WO11-130 (1851) to WO11-199 (1861) Western Australia. Medals, Clasps and Badges Three Good Conduct Badges. Discharge date and place 21 Dec 1861 Fremantle, Western Australia.. Length of Service 16 years 26 days. Chelsea Pension Reference No Chelsea Pension WO97 records extant. WO131-0042 Deferred Pension. Examination May 1862. Post Discharge Residence Fremantle, Western Australia. Pension Deferred Pension at age 60 with gratuity. Departure and Arrival dates Dep. Woolwich 10 Sep 1851. Arr. Fremantle 18 Dec 1851. 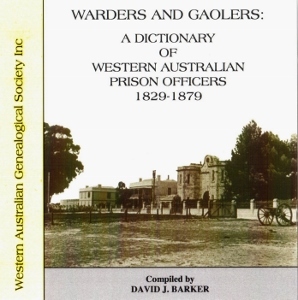 Occupations post-arrival in WA Instructing Warder [Barker p.13-14]. North Fremantle Convict Depot Nov 1852 to Aug 1853. Temporary Medical Dispenser, Fremantle Prison Surgery 1873. Land Acquisition Qualified for £10 remission on 20 acres, Freshwater Bay [Erickson p.179 WA Bicentennial Dictionary]. Departure date and destination Not applicable.